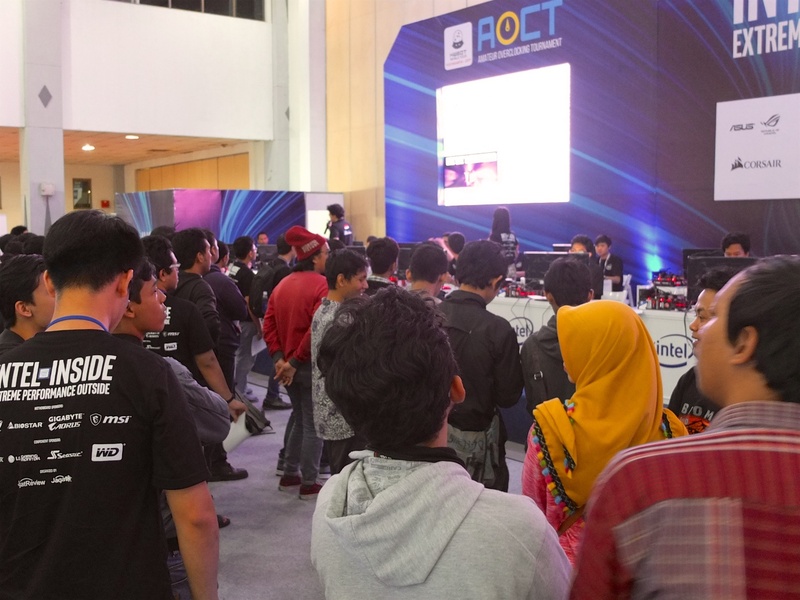 Each year the team at Jagat Review (also Jagat OC) hold the Amateur Overclocking Tournament (AOCT), a contest that sets out to determine the best amateur overclocker in Indonesia. The contest has a long history and is actually one of the earliest examples of a technology website and community actively recruiting overclockers to help grow and nurture the hobby. This year once again we find HWBOT working in tandem with event organizers Jagat Review to help regulate the contest. The event was backed by primary sponsor Intel with event partners ASUS, Biostar, GIGABYTE, MSI providing motherboards. Other component sponsors included Corsair, LG Gaming and Seasonic. AOCT is in fact an important element of the Yogyakarta 2017 leg of the HWBOT World Tour, held at the Yogyakomtek event in the city of Yogyakarta. With members of the HWBOT team in place, the scene was set for one of the most exciting and epic amateur, ambient overclocking contests. Day one started with Team Auditions. Overclockers who want to take part in the contest have to prove that they have the skills to compete. Last Saturday several teams lined up to audition in front of event judges in a session that ran from 11am til 5.30pm. By 6pm the audition is over and the judges decide which teams are eligible to compete. This is followed by a technical briefing and a motherboard workshop where the teams are given a chance to learn more about the challenges that lay ahead in Day 2. Read the full coverage of the AOCT 2-17 event, held at the HWBOT World Tour stop to Yogyakarta here on OC-ESPORTS.